He earned his BS in Electronic Engineering from Minnesota State University. In his free time, Nii Ahele organizes science fairs for middle school students in low-income areas in Houston. He served on the SPE Young Professionals Board the last four years, as the Chair of the Emerging Engineer’s Conference. He also served as the Career Management and Continuing Education Chair on the SPE-GCS Board of Directors, and the current past chair for the SPE-GCS Young Professionals. Selina Lee Brandon, EIT, is a Water Resources Engineer and Assistant Project Manager providing a wide range of engineering duties for Freese and Nichol’s Southeast Division. She is well experienced in the design and construction of hydraulic structures for municipal clients and river/water authorities. Her experience includes performing rehabilitation designs of earthen channels and dams, H&H modeling, as well as development of technical reports, construction drawings/specifications and cost estimates. Selina is an active member of APWA Texas Chapter. 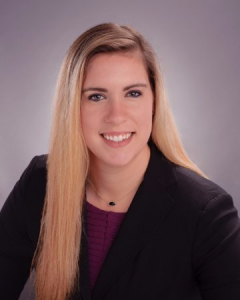 She currently serves as the Young Professional Chair for the APWA Texas Chapter as well as the Young Professional Chair for the APWA Texas Southeast Branch. She also serves as the Houston Engineer’s Week Gala Vice-Chair. Selina’s hobbies include aerial yoga, rowing with the Greater Houston Rowing Club, and rock climbing. 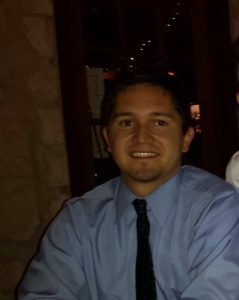 Austin Brauel, P.E., ENV SP is a Senior Project Engineer with over 4 years of civil engineering experience including expertise in site development, drainage, and infrastructure development for Municipal Utility Districts and numerous clients in the private sector. He has served at both the National and Section levels of ASCE as an Awards Selection Committee Member and Younger Member Committee Chair, respectively. 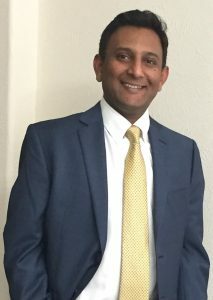 During the 2016-2017 year, he served on the Houston Branch Board as Branch Director, and is currently serving as VP of Education for the Houston Branch Board. At Landev Engineers, he serves as the subject matter expert for numerous Civil-3D elements of design, and is the Landev Engineers representative to the Binkley & Barfield family of companies’ Employee Stock Ownership Plan (ESOP) Awareness Committee. 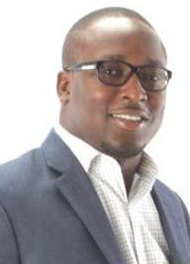 He is a Licensed Professional Engineer in the State of Texas, ENVISION Sustainability Professional, and is currently pursuing his LEED certification. Rebekah Campbell, PE, CFM, is a Project Engineer at Jones|Carter in Houston. 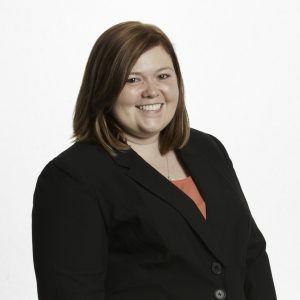 Rebekah joined the Hydrology and Hydraulics Practice at Jones|Carter after graduating from the University of Evansville in 2008 where she earned her Bachelor of Science degree in Civil Engineering. She is a licensed Professional Engineer and a Certified Floodplain Manager in Texas. Her experience includes analysis of storm sewer systems, detention basin and channel design, Low Impact Development analysis and design, Federal Emergency Management Agency (FEMA) submittals, and grant assistance projects with NRCS and FEMA. Rebekah is an active member of TSPE. 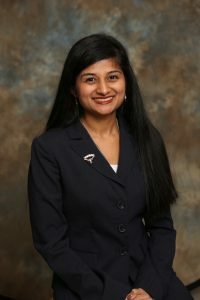 She currently serves as a Director on the Greater Houston Chapter Board, the MATHCOUNTS Chapter Coordinator, which reaches approximately 300 students (6th – 8th grade) in the Houston area, and Scholarship Co-Chair, which provides two 4-year scholarships to high school seniors and one scholarship to a UH engineering student. She is the recipient of the 2017 State MATHCOUNTS Chapter Coordinator of the Year. Amy Coxe, P.E. has a BS in Civil Engineering from Texas A&M University. 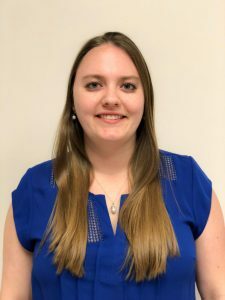 Over the last 5 years, she has gained valuable experience while working on a diversified set of traffic and transportation engineering projects. Her experience includes traffic operational studies, signal design and modifications, signing and pavement markings design, preparation of traffic control plans, traffic analysis and traffic micro-simulation modeling. Recently, she became a licensed Professional Engineer in Texas. Amy is employed as an Associate at Traf-IQ in Houston, Texas. Amy has been actively involved in TexITE since she moved to Houston in 2012. She has assisted with many aspects of the organization including helping with on-site registration at local and state meetings, and serving on both the Shrimp Boil and the Membership committees. Amy currently serves as the Membership Chair for TexITE Houston Chapter. Amy is a member of Houston Roller Derby and lives in West Houston with her husband Alexander and their rabbit Tribble. Kris Dow is currently a Software Engineer at IBM, where he specializes in enterprise storage products. Previously, Kris was an embedded systems engineer at Schneider Electric for the Remote Terminal Unit product line. In 2012, Kris received a bachelor’s degree in electrical engineering from the University of Houston with a computer concentration. Kris has been an active member of IEEE for 9 years, beginning as a student. He's served as IEEE’s representative on the Houston Engineer’s Week planning committee. He enjoys spending time with his wife and son, playing basketball, running, and reading. He has been part of SHPE for over 6 years. 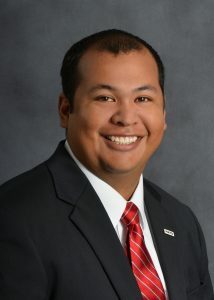 As a Board of Directors member, Gustavo has represented SHPE Houston in Greater Houston Community initiatives and events including those hosted by the Houston Hispanic Chamber of Commerce, Shell Hispanic Employee Network, Young Member Initiative and various engagements that advance Diversity & Inclusion priorities. Gustavo has developed a keen interest to help fight the education gap of children in low-income and minority families in our community. Through SHPE Houston and United Way of Greater Houston he has been an active volunteer and advocate for K-12 STEM outreach programs. Stephanie Guillot, PE has a BS in Industrial Engineering from Louisiana State University in Baton Rouge, Louisiana. She is a senior planner at AECOM with over 12 years of experience in transportation and environmental planning. 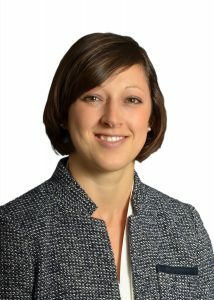 Stephanie has led a variety a of projects including Planning and Environmental Linkages (PEL) studies, corridor studies, traffic studies, highway traffic noise analyses, Houston Ship Channel environmental permitting, and various NEPA documents. Shortly after Hurricane Katrina, Stephanie was hired by URS Corporation in New Orleans as Transportation Planner. In 2011, she and her husband, Patrick, moved to Houston. Stephanie is an active member of the Houston Chapter of WTS since 2013. She currently serves as on the board as the Treasurer for 2016-2017 term and is the current Vice President Elect for the 2018-2019 term. She has participated in regional STEM events and other activities including serving as a judge for the Science Engineering Fair of Houston and Future City competition. She recently received the 2017 WTS Houston President’s Award. Stephanie is also an active member on the LSU Industrial Engineering Alumni Advisory Board. 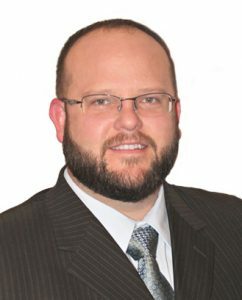 Tyson Hann, , P.E., D.Eng., is an environmental engineer at CDM Smith, Inc. where he is a project engineer for the design of water and wastewater treatment infrastructure. 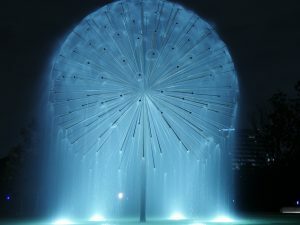 He has led and participated in designs for several municipal clients, such as the City of Houston, City of Pearland, City of Memphis, and San Jacinto River Authority. 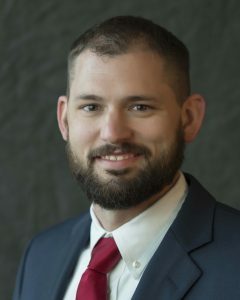 Prior to working in the consulting engineering field, Dr. Hann earned Bachelor’s degrees in Agricultural Engineering and Civil Engineering, a Master’s degree in Civil Engineering, and a Doctor of Engineering, all at Texas A&M University. Dr. Hann has served as the chair of the Scholarship Committee for the Southeast Chapter of the Texas American Water Works Association (AWWA) for the past four years. In this role, he created a local scholarship program awarding over $20,000 in scholarships to members of the Southeast Chapter of Texas AWWA while also participating in the statewide evaluation and award of over 60 scholarships for Texas AWWA. Outside of engineering and AWWA, Tyson participates in the Katy Area Running Club, follows Texas A&M athletics, cooks BBQ on his homemade BBQ pit, and manages his family’s registered Charolais cattle herd on a ranch near College Station. 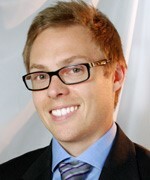 Patrick Korn, PWS, is the incoming Natural and Cultural Resources Group Manager in the Terracon Houston office. With over 5 years of experience in the environmental regulation and management field, he is experienced with navigating federal regulations surrounding numerous natural and cultural resources related obstacles. He has served in various roles within SAME Houston/Galveston Post over the last several years. During the 2016-2017 year, he served as Young Member Chair, Post Director, and Golf and Clay Tournament Chair. He will continue to serve as a Post Director as well as Golf and Clay Tournament Chair. 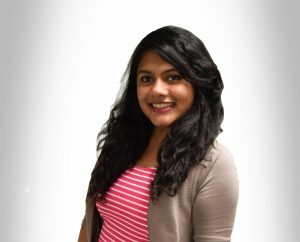 Sirish Madichetti, P.E., CFM is a Project Manager at Michael Baker International and specializes in storm water and floodplain management. He has a Master’s Degree in Civil Engineering from University of Houston and a Bachelor’s Degree in Civil Engineering from Bangalore University, India. He is also a Certified Floodplain Manager. He has worked on several key projects in the Houston area for various clients including Federal Emergency Management Agency (FEMA), Harris County Flood Control District (HCFCD), City of Houston and TxDOT. Mr. Madichetti has been an active member of ASIE since 2015. 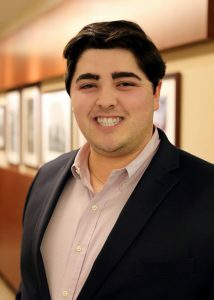 He currently serves on the Broad and as Chair of the Information Technology Committee. Rashad Morgan moved to Northwest Houston from the Natural State, Arkansas, in pursuit of a post-secondary education. A NASA STEM scholarship recipient, he decided to study Computer Engineering and Business at Prairie View A&M University. Upon graduating, he proceeded to work in a fast, innovative environment, supporting various systems & applications. Within a span of 7 years, Rashad received 3 promotions, and now manages a “small” team that supports the organization’s IT Infrastructure. 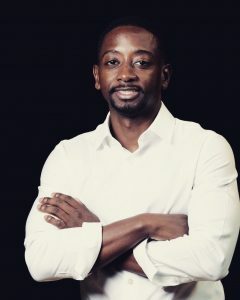 Despite a rigorous professional schedule, Rashad has consistently devoted time to serve the Houston community through the National Society of Black Engineers. 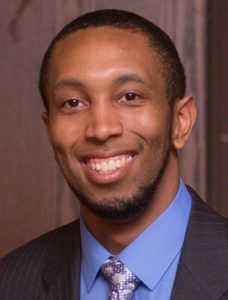 As the Houston chapter’s Programs Chair, he oversees key initiatives that hold NSBE accountable to its mission of "positively impacting the community." He was voted Member of the Year at their 2017 Annual Scholarship Banquet. An event that he led, as NSBE Houston Professionals awarded $8000 to deserving students. To date, two of the chapter’s signature programs, Fresh Start and A Walk for Education, have reached upwards of 800 students during his 18-month tenure. Yogashri Pradhan is a senior production engineer for Texas Oil and Gas Institute. She oversees various production optimization studies in Permian Basin and mentors graduate students from UT and Texas A&M. Prior to TOGI, she was a production engineer for Devon Energy overseeing completion and production operations. While at university, she was involved in the SPE student chapter and won the Bachelor's Division of the 2015 International SPE Student Paper Contest. Yogashri is an active SPE member at the local and international levels through technical conference committees, study groups, and community service initiatives. She is the co-founder of SPE Cares, a global community service initiative that unites SPE members through volunteering. She is also the leadership chair for SPEI’s Women in Energy Committee. Yogashri graduated from the University of Texas with a Bachelor's in Petroleum Engineering in 2015 and is pursuing her Masters in Petroleum Engineering at Texas A&M University. Valetta Saldanha has been working with AECOM for 4 years as an Environmental Engineer designing treatment, storage and conveyance projects. Some of the projects she has contributed towards are the East Water Purification Plant Improvements, Northeast Water Purification Plant Improvements, City of Houston Drinking Water Sustainability, SJRA Ground Storage Tank, Gulf Coast Water Authority Sludge Improvements and Shell Lift Station. She is actively involved with the Water Environment Association of Texas, currently serving as the Secretary of the Houston Chapter. She is also involved with AECOM’s Young Professionals’ committee that organizes mentoring programs and professional development opportunities for young professionals within AECOM. She has a MS, Environmental Engineering from the University of Southern California and BE, Industrial Biotechnology from Manipal University, India. She enjoys traveling, baking and choreographing for a Bollywood dance group in Houston. Ahmed K. Valdez, P.E., is a Transportation Senior Project Manager with RPS Group. Over the past ten years, Ahmed has led multi-disciplinary teams and been a key component on transportation complex projects in the state, including LBJ Express, DFW Connector, DART Orange Line and Ship Channel Bridge. Stemming from his interest in developing ways to create a sense of community between his peers, Ahmed started the first American Society of Highway Engineers (ASHE) Chapter in 500Houston. Serving as President and also an active member he constantly looks for ways to improve the chapter by effectively encouraging those around the community to be involved. Ahmed received his Bachelor of Science Degree in Civil Engineering from the University of Texas at Arlington and his Master of Engineering Degree in Civil Engineering from the University of Idaho. Alina V. Bartley is currently a Strategic Business Analyst at the ExxonMobil Baytown Olefins facility, with nearly 5 years of experience in a variety of manufacturing and project management roles. 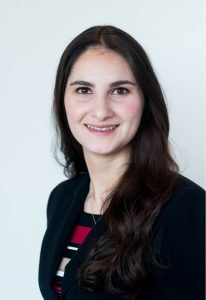 Alina holds a Bachelor’s of Science in Chemical Engineering from the University of Florida, and is currently pursuing her MBA part-time at the University of Texas Houston branch. She has been an advocate for women’s issues since her undergraduate SWE involvement, and continues to stay deeply involved at both the national and local SWE levels, while being president of the women’s group at the ExxonMobil Baytown facility. Alina was born in Moldova, a small country in Eastern Europe, and values friendship, frugality, and the idea of fresh, blank pages she can fill with short story ideas and to-do lists. She lives in the Houston area with her husband and three cats. Kiandra Lewis has a background in Biomedical Engineering, holds a lean six sigma greenbelt, and is currently furthering her education in Supply Chain and Logistics. After working on patents for medical devices she transited into a supply chain and is currently working in the chemical industry. Kiandra has a variety of technical skills including knowledge of a variety of coding languages, CAD experience, and knowledge of technical and business software. 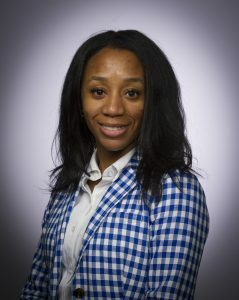 New jersey native, Kiandra has been involved in various organizations: Society of Women Engineers, BWISE, National Society of Black Engineers, ASQ, and the New Jersey Institute of Technology Educational Opportunity Alumni Association, along with a number of supply chain organizations. She has a personal mission of volunteering her time and resources to ensuring that women of all backgrounds have the opportunity to success in stem and engineering professions. Although a member of many organizations, she currently serves as the Internal Vice President of the Houston Area Section of the Society of Women Engineers and is an active member in the Xi Alpha Omega Chapter of Alpha Kappa Alpha Sorority Incorporated. Dr. Reed works within Exponent’s Thermal Sciences group specializing in fluid flow and combustion events. His assessment of flammable/toxic vapor dispersions, jet/pool fires, explosions, and structural response calculations provide guidance to a variety of industrial clients. Dr. Reed is active with local and national professional organizations including the American Chemical Society (ACS) and American Institute of Chemical Engineers (AIChE). He has served as peer reviewer for the Center for Chemical Process Safety (CCPS) Guidelines for Process Safety Knowledge and Expertise, Guidelines for Siting and Layout of Facilities and Guidelines for Process Safety in Upstream and Shale Ops. He has been a committee member for Evergreen LOPA/IPL Database and CCPS Guidelines for Inherently Safer Design and Guidelines for Investigating Chemical Process Safety Incidents. He served as 2017 Chair for AIChE-STS Young Professionals and currently serving as 2018 Loss Prevention Symposium (LPS) co-chair and will be the chair for the 2019 LPS conference.